YouTube is testing a new feature that lets users select videos based on their mood. 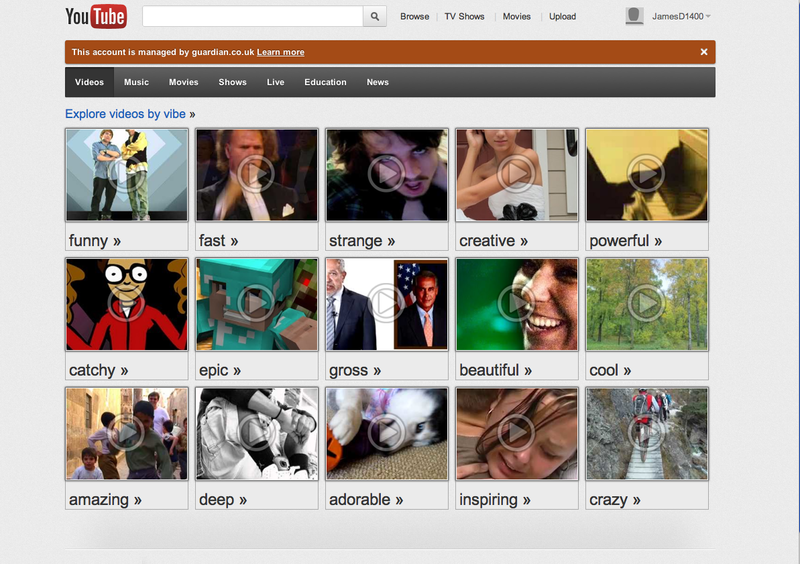 Dubbed “Moodwall,” the feature shows a series of video thumbnails under different categories on YouTube’s homepage. They range from the classic “funny,” “cool” and “adorable” to the more quirky “fast” and “catchy,” U.K. newspaper The Guardian reported. It encourages YouTubers to “explore videos by vibe” at the top of the homepage. So far, general user feedback has been bewilderment. Many of those with access to the exclusive feature expressed confusion over its introduction in Google product forums. “Does anybody [know] what is a Moodwall and how it can be removed?” asked Dubliner23. What do you think of Moodwall? Would you find this feature useful on YouTube? Tell us in the comments below.